Two years ago the LORD prompted me through a friend to write for 31 days. I took the challenge and wrote, “31 Days to Hope Reinvented”. Last year, I participated again and wrote devotions that would be incorporated in my book, “Shame Off You”. This year, it is my joy to write again on a topic close to my heart. Our minds. Specifically, how our mindsets can affect how we live this precious life that God has given to us. Every day we seemingly walk in freedom and yet we cannot see that we are often imprisoned by our own minds. What is it that preoccupies your mind on a daily basis? Fear? Anxiety? Anger? Bitterness? Joy? Gratitude? Peace? Funny thing is, we might not really know or understand our own thoughts. But God does. He knows us. Completely. But we need not fear. He also knows the remedy for the thoughts that burden us. We can have a flood of thoughts that engulf us, so much so that it makes it hard to discern them all. If we are willing to let God examine us and also search His word for understanding, God is faithful to illumine our minds and set us free. 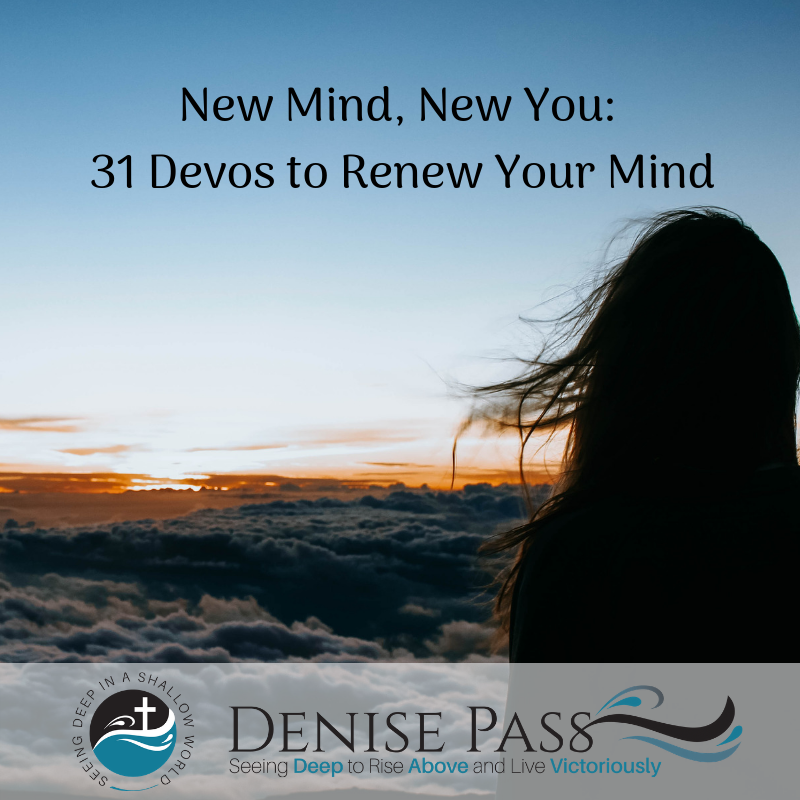 Journey with me over the next 31 days as we consider our thoughts through God’s word and renew our minds together. God has so much more in mind for us than the mental traps we set for ourselves. Day 2: What is a Mindset? Day 19: What’s in a Worldview?